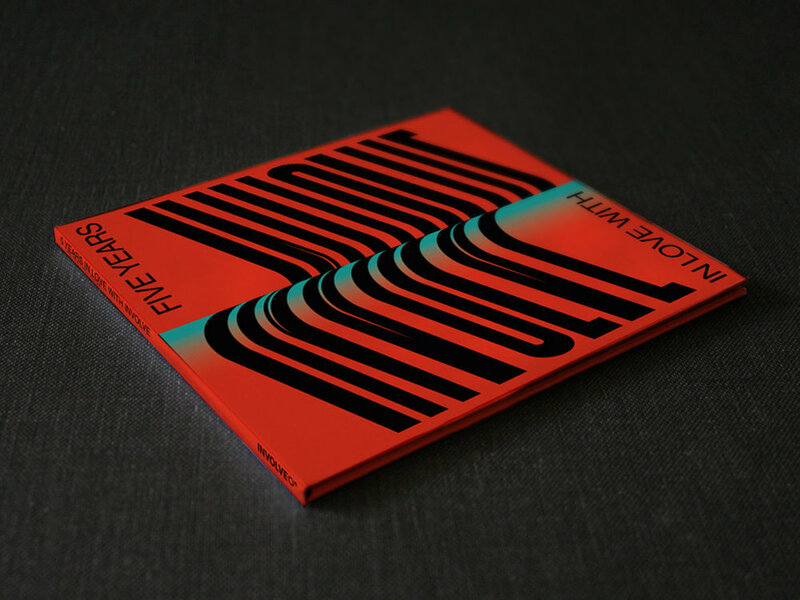 THE CD VERSION INCLUDES A POSTER INSPIRED BY THE AESTHETIC OF THE LABEL, WHICH SUMS UP THE JOURNEY OF INVOLVE SINCE IT FIRST STARTED IN 2012. AFTER THE RESOUNDING SUCCESS OF “TRAVE GENERATION” EP, REGAL AND INVOLVE ARE BACK WITH A BRAND NEW RELEASE, THIS TIME IS ALL ABOUT A COMPILATION CD FEATURING SOME OF THE STRONGEST NAMES IN THE WORLDWIDE TECHNO SCENE. THE LABEL COMMEMORATES WITH THIS RELEASE ITS FIFHT ANNIVERSARY. FIVE YEARS FULL OF MUSIC, ACID, EXPERIENCES AND LEARNING. FIVE YEARS REPRESENTING OTS OWN VALUES AND FOLLOWING A PATH THAT HAS LED TO MAKING INVOLVE ONE OF THE GREATEST TECHNO LABELS. FAMILY, RAVE, SOLIDITY, AESTHETIC…THE PILLARS IN WHICH THE BRAND LEANS ARE THE ONES THAT POP UP NOW STRONGER THAN EVER. IDEAS THAT HAVE SHAPED THE BECOMING OF SOMETHING THAT IS MUCH MORE THAN A RECORD LABEL, A WAY OF UNDERSTANDING ELECTRONIC MUSIC AND SOCIETY IN GENERAL. INVOLVE IS NOT JUST A MUSIC PLATFORM, IT’S A SPIRIT, A REPRESENTATION OF THE PERSONALITIES OF THE ARTISTS THAT ARE PART OF IT.